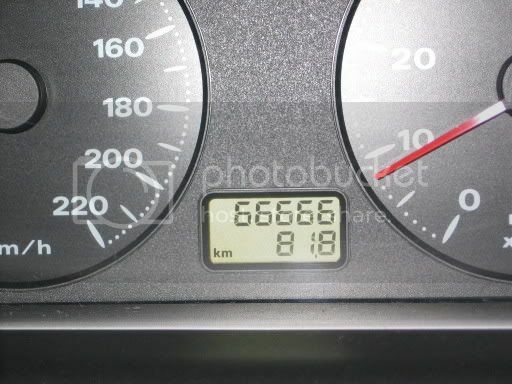 I'm sure I'm not the only one looking for special numbers when driving a car. I've had mine for a year and a half now, I missed 55555, so since I own a digital camera, taking it to work once was a good option. On a quiet road I got to the next 'funny' number. Is this also worshipping Satan then? Another 11.111 kilometers to go.